Today at the Everest ground on Camp Road, Guyana, who finished unbeaten in the Regional 50-over Under-19 cricket tournament will want to keep their unblemished record intact by putting the icing on the cake with a victory over the Windward Islands in the final of this year’s competition after winning the three-day version last month. A Guyana win today will give the South Americans their second victory over the Windwards in the 2014 competition and their first ever 50-over title since this format was introduced in Trinidad in 1998. The Windward Islands’ final round victory over Jamaica saw them overtaking the defending Champions by the narrowest of margins to finish second with 21.9 points to Jamaica’s 21.8 and book a place in the final of the 14th 50-over tournament. This is the 14th time Guyana is hosting the Regional U-19 tournament but only the third time the 50-over format is being played here since in 2000, when the Windwards won their only U-19 title, the 50-overs competition was washed out while in 2006 there was no 50-over format. Only Trinidad and Tobago (3 times) and Jamaica (twice) have ever won both titles in the same year and if Guyana emerges victorious today they will join them. The Windwards’ win over Jamaica on Wednesday prevented the lads from Reggae country from reaching their third consecutive 50-over final and they are quite capable of breaking Guyana’s sequence of wins, with an upset victory today in the most important match of the event. Guyana will be led by openers Shemron Hetmyer and Taignarine Chanderpaul, the only two batsmen with centuries in both formats in the same year. The opening pair put on 129 against the Islanders at Albion before featuring in a record 176-run stand the next day against Barbados at the Stadium when they scored 298-5, the highest total in the 2014 competition. If the pair continues its dominance today on what should be a fast outfield, the Windwards bowlers could be in for a tough day at the office. Brian Sattuar is also known for his power-hitting but he has consistently been dismissed playing reckless shots. However, if he gets going today the crowd could be in for a treat. Kemo Paul has four fifties in the tournament and is considered the best all-rounder in the tournament while Askay Homraj, Sharaz Ramcharran, Balchand Baldeo, Renaldo Mohamed and Kemol Savory can all contribute significantly with the bat. Hetmyer (84) and Chanderpaul (43) tore into the Windwards’ attack in Berbice before Paul’s blazing 51 ensured Guyana galloped to 276-5. An unbeaten 13-ball 30 from Mohamed and a cameo 28 from Homraj also aided the home team’s cause in the Ancient County on Tuesday. Fast bowlers Sherman Lewis and Ryan John were the leading wicket-takers for the Islanders who responded with 162 all out off 41.3 overs despite an attacking 43 from Kershaskie Jno Lewis. Skipper Roland Cato (38) and John (33) also offered support while Baldeo (3-35) and Ramcharran (2-26) were the main wicket takers for the Guyanese. Today Guyana will depend on Paul to make an early break through with the new ball. Off-spinner Baldeo, who could again open the bowling, Guyana’s leading wicket taker, off-spinner Ramcharran, leg-spinner Steven Sankar and off-spinner Daimon Waldron are expected to offer crucial support on the spin-friendly pitch. Gidron Pope and Melvin Gordon will hope to lay a solid foundation for their team for Sherman Hooper, Lewis, Cato, Anson Latchman and John to build on. Lewis and John should share the new ball while Deron Hypolite, Doran Edwards, Pope, Obed McCoy and Craig Phillip could all lend support with the ball. The presentation of the limited overs awards will be done after today’s game which is scheduled to commence at 09:30 hrs. 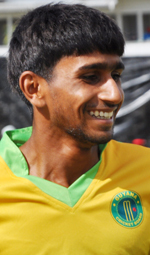 Guyana: Brian Sattaur (captain), Sharaz Ramcharran (vice captain), Balchan Baldeo, Daniel Basdeo, Tagenarine Chandrapaul, Shimron Hetmyer, Askay Homray, Keon Morris, Keemo Paul, Steven Sankar, Kemol Savory, Niall Smith, Daimon Waldron, Akel Wallace. 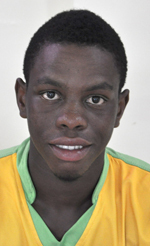 Windward Islands: Roland Cato (captain), Kershaskie Jno Lewis (vice captain), Doran Edwards, Melvin Gordon, Kharmal Hamilton, Sherman Hooper, Deron Hypolite, Ryan John, Anson Latchman, Sherman Lewis, Obed McCoy, Craig Phillip, Gidron Pope, Tonis Simon.